Landscape UFO by Sophie Huddlestone. 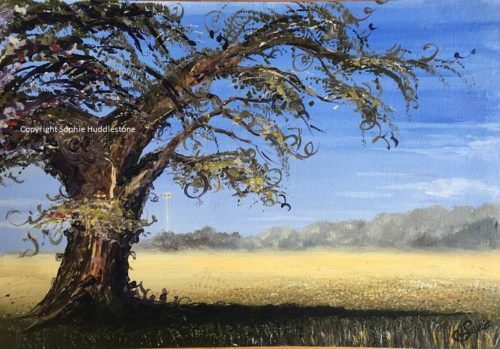 Imagine the surprise when family and friends view this traditional looking landscape more closely, they will suddenly notice a UFO in the distance (under the tree branch). Size A4 (29.8cm wide and 21 cm high) Hand painted in oil paints on to artists quality canvas textured paper – 230gsm 140Lbs, acid free. Varnished with a professional satin varnish which protects the oil painting and has UV protection. Includes a small certificate card, signed, with purchase details, which proves the authenticity of this purchase direct from me, the Artist. The copyright wording is not painted across the actual artwork, it is edited onto the display photograph. 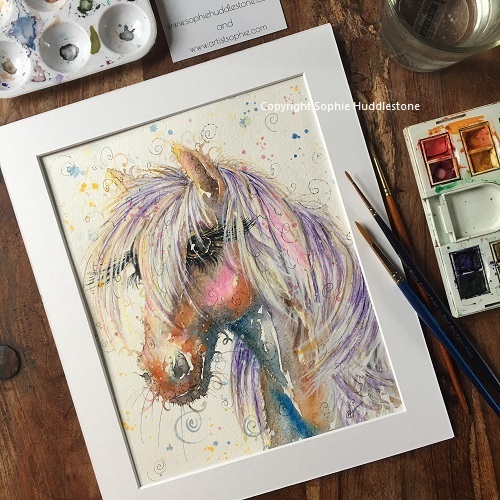 Full copyright remains with the artist, Sophie Huddlestone. Posted flat in layers of cardboard. Will require a signature on arrival.